Thuso have presented a laptop to Mpumelelo Nomzaza, the second recipient of the Neil Chubb prize for learning. 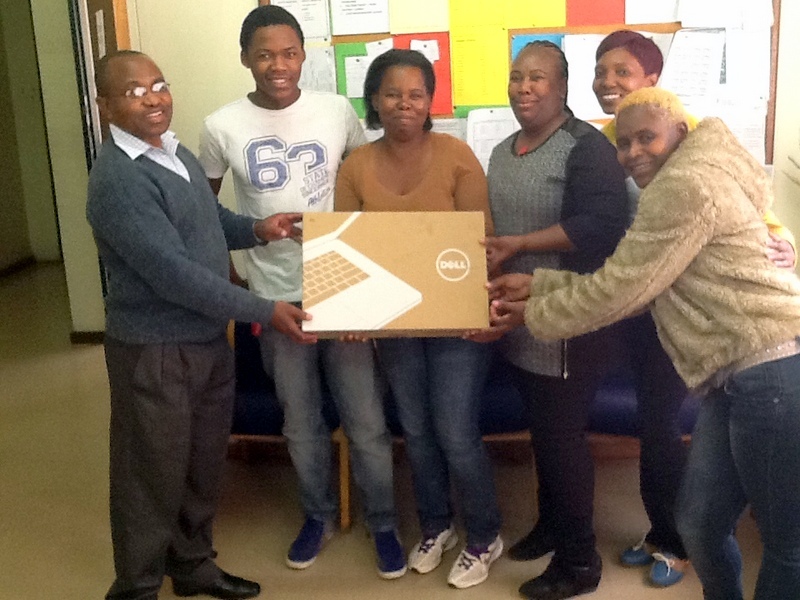 The prize is awarded each year to the best performing matriculant at Thuto Lesedi school, near Johannesburg, who has been supported by the charity’s sponsored learners’ programme. Mpumelelo came third among all pupils in South Africa who achieved distinctions in mathematics and science in the 2014 Matric examination. In 2015 he started an engineering course at the University of the Witwatersrand in Johannesburg. Waltham Forest Thuso in South Africa grants the Neil Chubb prize in memory of one of our staunchest supporters and volunteers.